Coach Mike graduated from Saint Joseph's University, in Philadelphia, Pennsylvania. Mike competed on their varsity rowing team for all 4 years as a lightweight, and received medals from the Dad Vail Regatta, SIRA, Knecht Cup, and more, rowing under John Fife. Prior to St. Joe's Mike rowed for Pennsylvania Athletic Club with a second place finish in the Senior Lightweight 8+, at the Royal Canadian Henley Regatta to his name. Mike also competed with the Atlanta Sculling Development Team under Curt Browder. Mike rowed 4 years at Saint Andrew Rowing Club with 3 invitations to the USRowing Youth Invitational: one in the varsity heavyweight 8+ (2005), one in the varsity lightweight 4+ (2005), and one in the varsity lightweight 8+ (2006). Currently Mike works as a Senior HR CAO & IMO Business Partner for Anthem Health Insurance. 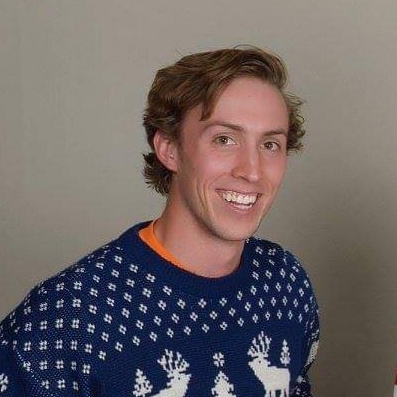 Coach Rodd finished his third and final year as a rower for UCLA in 2014. In that time he medaled at WIRA three times (twice in the heavyweight varsity 8), selected to All WIRA First Team in 2014, competed twice at ACRA with the men's heavyweight varsity boat, and elected as Head Captain for his final season. After graduating, he spent a year as the assistant novice coach at his alma mater for the '14-'15 season. He completed a Masters in Analytics at Georgia Tech in 2016 and is excited to have the opportunity to coach the Women's Varsity squad, saying "It's going to be a good year." Coach Hayden graduated from Georgia Institute of Technology with a BS in Mechanical Engineering. Hayden's first year coaching the Novice Men ended many medal droughts for the novices. This included a Head of the Hooch medal in the Novice Men 8+ (first in 5 years), Dad Vail bronze in the Novice Men 4+ (first in 6 years), and ACRA silver in the Novice Men 4+ (first novice men ACRA medal in GT history). After graduation, Hayden hiked 300 miles of the AT, and completed a marathon run. 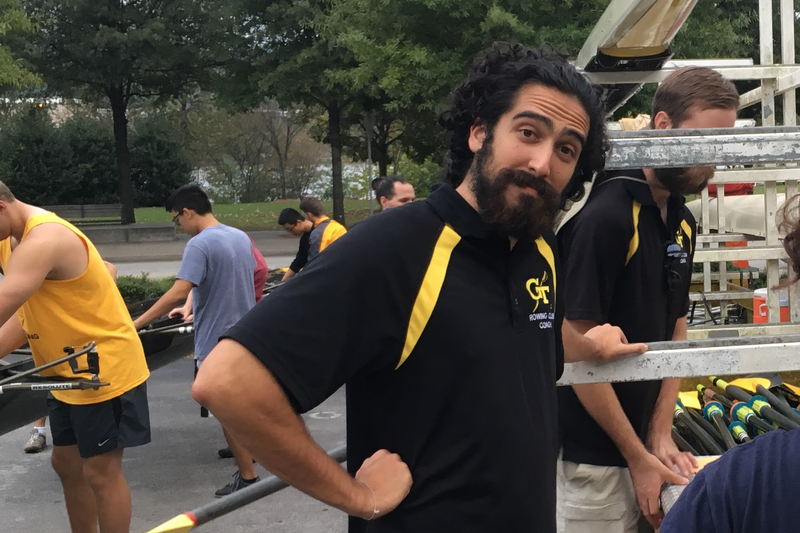 He currently works as a CAD Designer for Closets by Design in Peachtree Corners, GA.
Coach Sarah spent her four years at Georgia Institute of Technology rowing and coxing for GT Crew. Before graduating, she coached the GT Novice Women to their first Dad Vail and ACRA medals -- claiming silver in the NW8+. After graduating with a degree in Material Science and Engineering, she now works as a Researcher of New Platforms for Solvay Specialty Polymers in Alpharetta, GA.
Sean Gibel rowed for Saint Andrew Rowing Club throughout his High School career, before he attended and rowed for all four years at Georgia Tech, where he was the trailer driver and boathouse manager. International Results: Finished third as stroke seat in the Lightweight Eight at the 2013 World Rowing Championships in Chungju, South Korea. National Results: Won the Lightweight Men's Pair at the Elite National Championships in 2009. Won the Heavyweight Varsity Four at 2011 Dad Vail Regatta. Finished third in the Collegiate Eight at the 2011 Head of the Charles with Georgia Tech. Won the Lightweight Eight at the 2013 World Championships Trials. Finished third in the lightweight quad at the 2012 Under 23 World Championships Trials. Finished fourth in the lightweight single at the 2010 U23 World Championship Trials. Won the Heavyweight Single event at the 2010 ACRA Championships. Finished fourth at the Youth National Championships as stroke seat of the Lightweight Eight. We are one of the largest competitive sport clubs at Georgia Tech. To view all the Rowers & Coxswains, please click below.